You are here: Home / News / Client News / Wearable Technology – To Trend or Not To Trend? Wearable Technology – To Trend or Not To Trend? In a recent episode of BBC1’s The Apprentice, Lord Sugar’s aspiring protégés were asked to create a wearable piece of technology. All sorts of ideas were thrown around, from solar panelled jackets equipped with phone chargers and radiators – (an albeit interesting concept but hardly realistic- visible solar panel shoulder pads are not chic)– to activity based LED leggings and diet monitors. Whilst these ideas were undoubtedly creative and innovative, I couldn’t help but sit there and feel this whole concept was technology gone too far. Don’t get me wrong, I’m all up for technology that will make my life easier, but to integrate it into clothing and accessories just seems unnecessary. Unlike the stars of The Apprentice, companies today are actually trying to make useful and fashionable wearable technology. 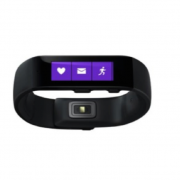 The Microsoft Band is the latest wearable gadget hitting the shops- although at present only in the US. The main feature of the wristband is its screen, which shows you snippets of data like distant walked, your heart rate and your smart phone notifications. 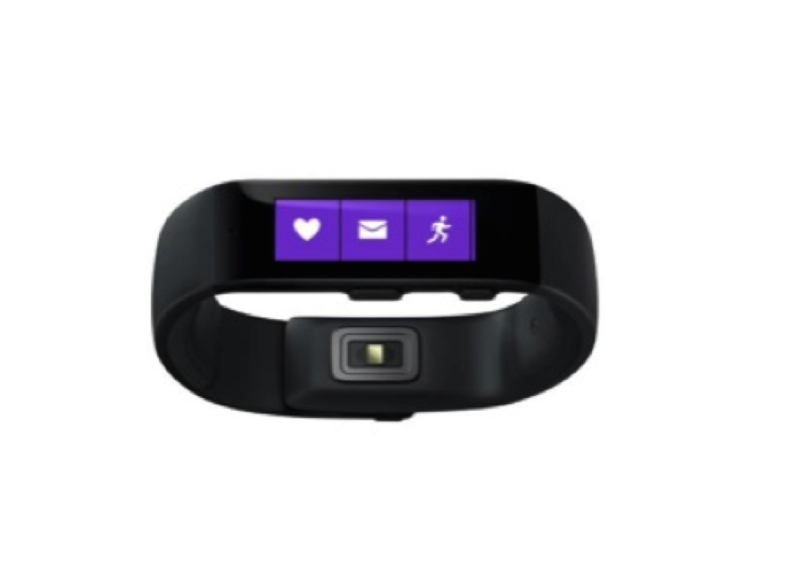 It also has a GPS so you can track where you’ve been wearing it. Whilst this all has potential on paper to be a handy piece of technology, the real thing has been described as ‘ugly and clunky’ and the heart rate monitor as ‘not particularly accurate’. Interestingly, a recent study by PricewaterhouseCoopers claimed that 20% of American adults already own a wearable device. However they also added that a third of wearable device owners abandon their gadget after a year. The same study concluded that respondents were concerned that such gadgets would invade their privacy and make them more vulnerable to security breaches. Furthermore GfK claims that price is the biggest hurdle – the average price for wearable wrist wear is around $200 – and Intel’s General Manager of New Devices makes an interesting point by explaining that ‘it distracts me when somebody is sitting there and their watch is doing the blink thing every five seconds’, addressing a common concern that technological gadgets are becoming increasingly intrusive in our lives. Although these concerns are valid, I feel there’s a simpler reason why wearable technology isn’t flying of the shelf like the smartphone or the portable music player- and that’s because there doesn’t seem to be anything that the wearable device can do that my smartphone can’t. It isn’t, in my opinion, a ground-breaking phenomenon; it is simply trying to make the smartphone even more compact whilst being attached to the body- features which I personally don’t think are desirable or necessary. People don’t seem enthused by the idea of combining two fundamentally different products and that’s also where I feel this concept struggles. Who knows what the future holds for wearable technology. When the Apple Watch is released in the UK in early 2015, perhaps we will see an increased interest in wearable devices. However for now, it is safe to say that this new gadget is unlikely to feature high up on my Christmas list. https://www.platformcomms.com/wp-content/uploads/wearable.png 629 865 Platform Team /wp-content/uploads/platform-communications-logo-niagara.png Platform Team2014-11-24 13:57:392017-02-25 16:54:19Wearable Technology – To Trend or Not To Trend?